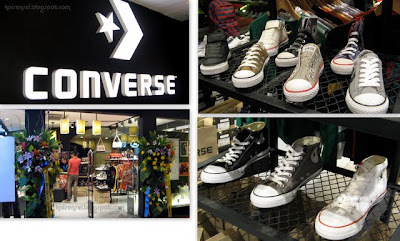 A week ago, I had the opportunity to attend the grand opening of Converse's brand new store at Eastwood Citywalk! Its just near The Blue Onion which was also the venue of their event during that night. I was able to go there with Jen. That particular Saturday was quite hectic since earlier that day we were at Fully Booked at the Fort for the Blogapalooza event. We decided to proceed with the event despite the rain and all and I'm so glad we did push through with it coz I would have missed out a lot! 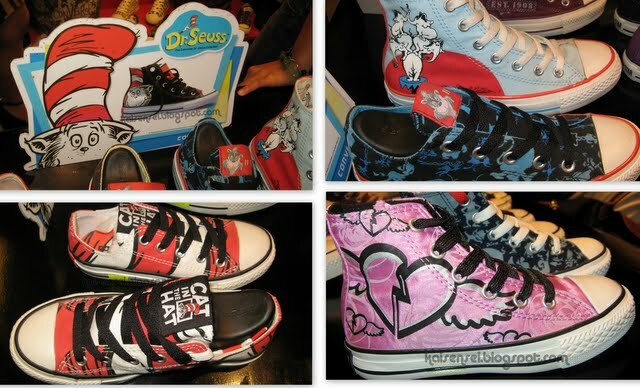 There were a lot of familiar shoes on display but a lot of new ones as well. Different lengths and sizes and all sort of styles for those who want to make a statement. 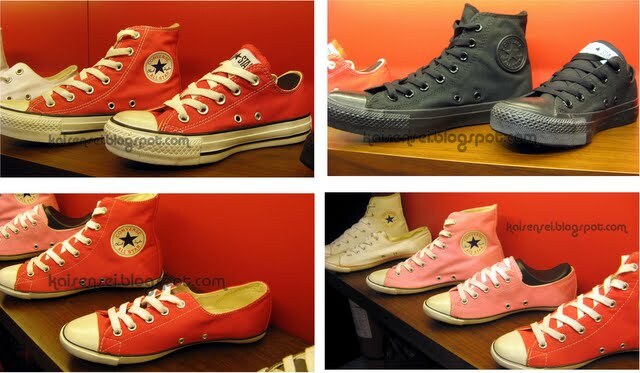 Take your pic from low cut up to high cut chucks! Even kids and cartoon or comic fans can express their love for Dr. Seuss and DC Comics by strutting around in your Converse. 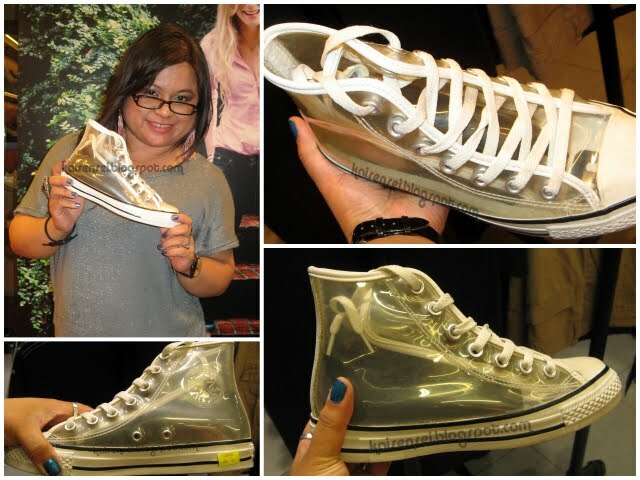 Who would have thought that wearing sneakers can be so much fun! I also like how you have the option to whether get the low or high cut of a particular design. Of course the purple one caught my attention! hihi! And yes stuff on sale! Though I don't think its still sale now. For the love of PRINT! Kiddie prints anyone? Love the cool red bag! 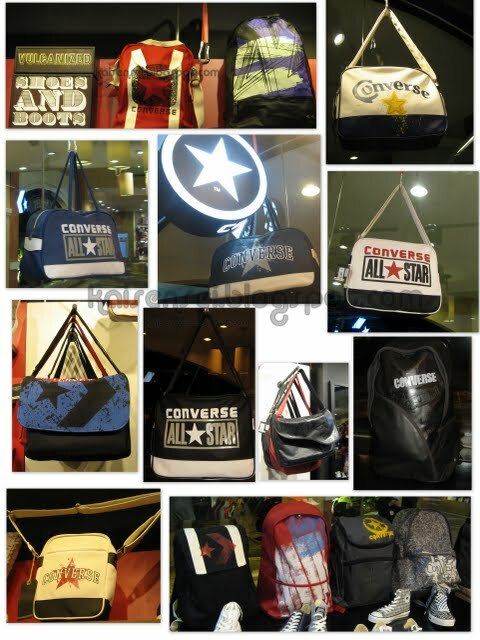 Converse Bags sure look cool and comfy especially for those still in school! Agree! For Chucks owners out there, how long have you had yours? This just looked SUPER COOL! White Converse Boots for the win! Still the classic look always is a winner! And yes take a good look at the red low cut one at the lower left pic! 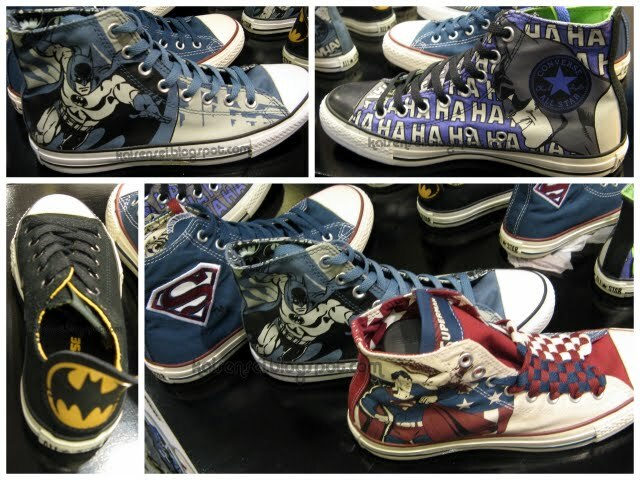 That's the new modern look of Converse. This however is my personal favorite! When I saw this I immediately showed it to Jen. resistant to rain. Now that's a cool feature right there! Yes I know it looks like turon but its not. I totally forgot what its called but that's supposed to be chicken breast with pork (or was it bacon) in the center. And that's crunchy caramelized kamote chips on top. I love the amazing interior of The Blue Onion. This is the entrance. It aptly fits its name diba? Me and Jen stayed there for some time for the event to start. While waiting, we were able to meet and get to know other pinoy bloggers who also happened to be at the Blogapalooza event that day! I was quite happy to meet other bloggers of different niches. I hope I will be able to get to know them more and meet up with them in future events as well. The event started a bit late. We only stayed up til 12 midnight feeling very much like Cinderella. But it all ended well with Jen winning a prize during the raffle draw that night. Kintarooe82 from thetechnoclast.com also won! Pinoy bloggers for the win! Had a great night and thank you very much Converse for inviting us and also for this cool red and black sneakers! 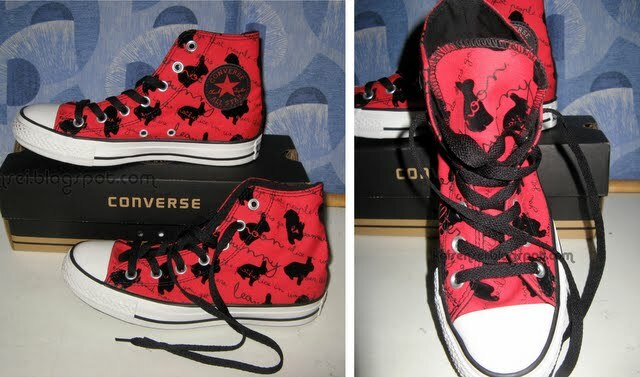 I've been loving black and red colors lately and this really echoes the rocker emo chic look that I sometimes emulate. hihi! So Coffeeholics! What are you waiting for? Grabe a pair of Converse for yourselves right now. They have this promo up til the end of September. You get a free tote bag for every Php 2000 worth of purchase on every regular priced items. P.S. 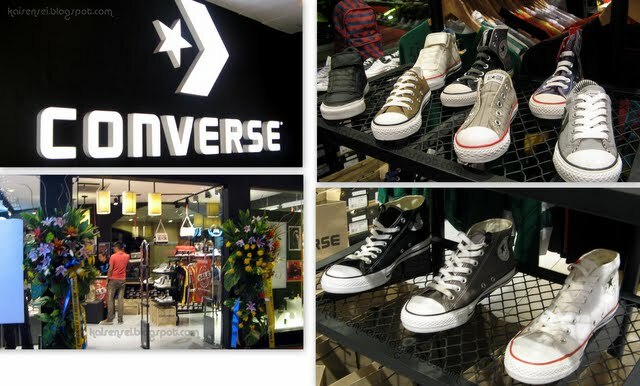 Don't forget to LIKE Converse on Facebook to be updated on the latest news and promos of Converse Philippines!